The global boss of MediaCom has urged advertisers to avoid "blind" e-auctions to decide their media-buying because it means they treat media agencies like "vendors", rather than partners or consultants. 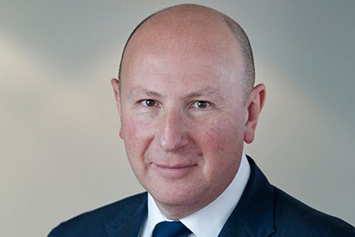 Stephen Allan, the worldwide chairman and chief executive of MediaCom, said in an interview with Campaign that marketers were sending "mixed signals" at a time when the Association of National Advertisers has criticised US media agencies for "non-transparent business practices" such as buying inventory as principal and then selling it onto clients. "Do you want to treat agencies like vendors or like agencies – what is it?" he said. Allan was speaking after his agency lost the vast bulk of Volkswagen’s £2bn global media account after 18 years to PHD last month in a process that included a "blind" e-auction. He would not comment on any aspect of the pitch, but industry sources said Volkswagen held close to 100 meeting with three agency groups, MediaCom, PHD and IPG Mediabrands, before conducting an e-auction towards the end of the year-long process. Each agency was invited to offer discounts against the German car brand’s current media spend. However, it is thought, only the incumbent on most of the business, MediaCom, knew what the existing pricing was and the others were bidding blind. Observers said e-auctions often form part of a procurement process, but a blind e-auction is relatively unusual. One person familiar with a blind e-auction pointed out it is possible for an agency to use its knowledge of the market to calculate a good estimate of the likely pricing in order to bid. But Allan maintained the concept of a blind e-auction is a bad idea. "Some mixed signals are being given out by advertisers," he said. "On the one hand, we have a report [from the ANA] saying, conceptually, we don’t like agencies being vendors. But then you have an e-auction where agencies are absolutely being treated by vendors." Allan admitted that losing Volkswagen, the world’s fifth biggest advertiser and MediaCom’s second biggest client after Procter & Gamble, has been "difficult". But he praised the German car group, which switches to PHD next year. "I’m very proud of the business we did with VW," Allan said. "An 18-year relationship is unusual. It was a very important relationship in terms of the evolution of MediaCom globally." Working with Volkswagen, whose brands include Audi, Seat, Skoda and Porsche, helped the agency build its international network and win other global clients such as Sony, Mars and Dell subsequently. "The shape of our business today is very different from when we first took on that [VW] business," he said. MediaCom’s annual billings are currently around $32bn (£24.1bn) and it has 7,000 staff. Allan, who has been at MediaCom and its predecessor The Media Business since 1982, knows the best response to losing Volksagen is to win new business, although the best part of £2bn in billings leaves a huge hole. Recent wins include a chunk of P&G’s business in China and Paddy Power Betfair’s consolidated media in the UK. Another car brand is the prize that Allan would love. "We have huge amounts of institutional knowledge and skilled people. Give us time – but we are really keen to get back into that market," he said. In the short term, he vowed he will "do everything we can to protect our people" from job losses. Being part of Group M, WPP’s media-buying arm, means staff can move around the group, he said. Media agencies are likely to come under financial pressure from advertisers following the ANA’s report into rebates and transparency, but Allan believes MediaCom can improve its margins. He suggested agencies need to think smarter, like using automation to improve efficiency, and offer higher "value-added" services in data, insight, analytics content and other areas beyond paid-for media. His most immediate concern in the UK is Brexit. "It may make people a bit more short-term," he said. "But it doesn’t mean they’ll do less. It just might mean they’ll do less long term. People will always buy toothpaste."